Unless you’ve decided to forgo the modern commercialization of Christmas and burned your credit cards in effigy — chances are you’re feeling the pressure of the gift buying season. Let me add a little more — you’ve got barely two weeks left to select and shop for that perfect present. If your flailing for inspiration you might want to turn to our Utah holiday gift guide 2014 below. 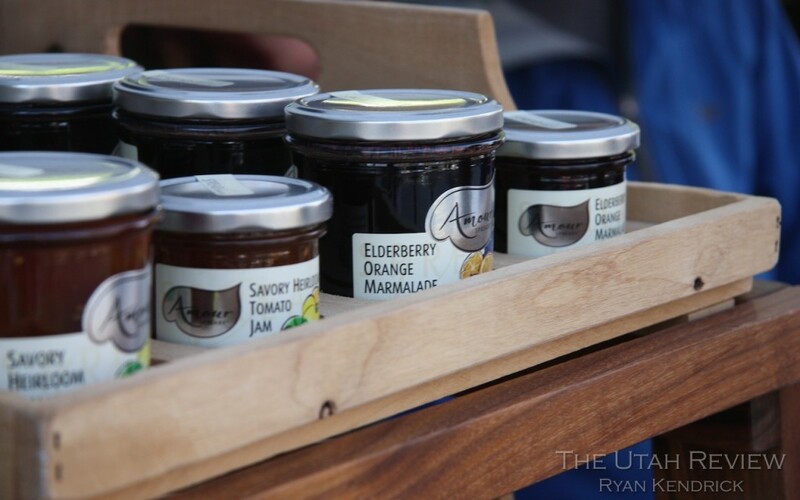 We asked The Utah Review team to pick out some of their favorite businesses and products around the valley that would make for a perfect Utah gift this holiday season. Heather L. King: Searching for the perfect gift that says: local but not crafty, classy but not pretentious and “I’m really a good friend!”? That’s Beehive’s Barrel Reserve Gin. Exclusive in a way that only 30 cases of barrel 1 can offer, this is the ideal party favor, host gift or Santa present and is handcrafted right here in Utah by distiller Chris Barlow. 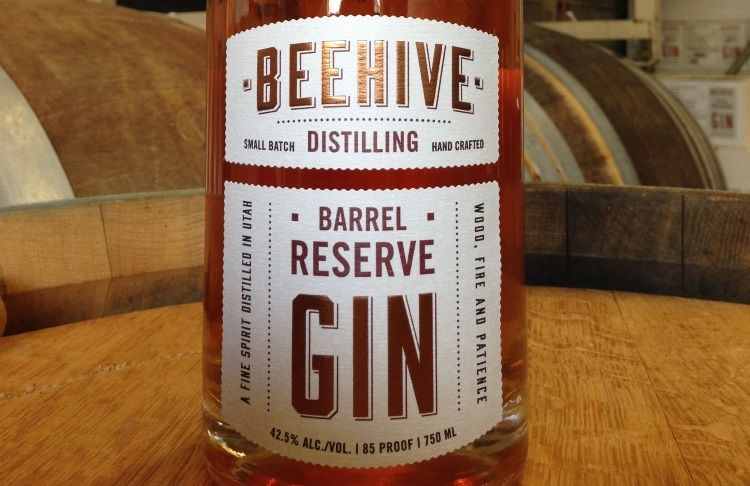 Aged for eight months in hand-charred French oak barrels, delight your tastebuds with Beehive’s traditional gin flavors enhanced with vanilla and honey scents from the barrel that ultimately results in a smoky, spicy finish. Barrel Reserve is a sipping gin that goes down smooth for just $38.99 at select DABC stores. 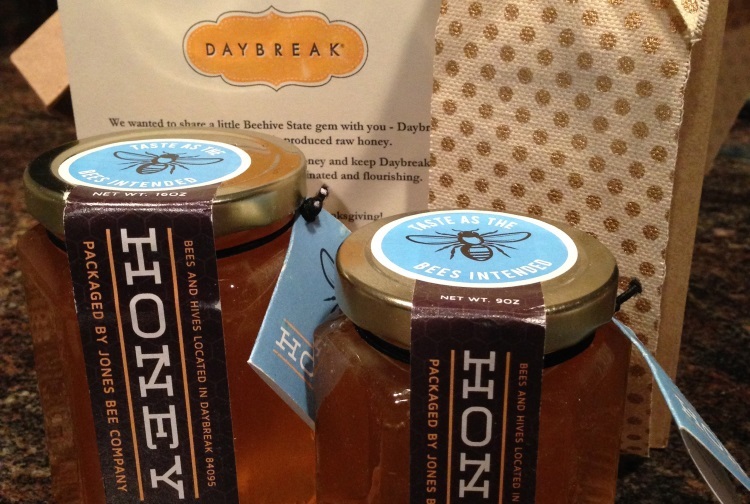 For a sweet, sustainable gift, check out Daybreak Honey. This limited edition raw honey is produced by hives located in the undeveloped portion of Daybreak in South Jordan. Throughout the year, the bees pollinate the community gardens and area surrounding Daybreak in what is a win-win solution for neighbors and bees—residents have beautiful flowers and pollinated plants and Daybreak is doing its part to help bring back a healthy bee population to Utah. You can purchase the 9 oz. jar for $5.50 or the 16 oz. jar for $7 at Swirly Girls Gourmet Bakery in SoDa Row in Daybreak. Finally, give the gift of fur this year with two live performances of Pupcracker featuring trained therapy dogs on stage performing scenes from the classic Nutcracker story with Salt Lake Tribune humor columnist Robert Kirby narrating the event. 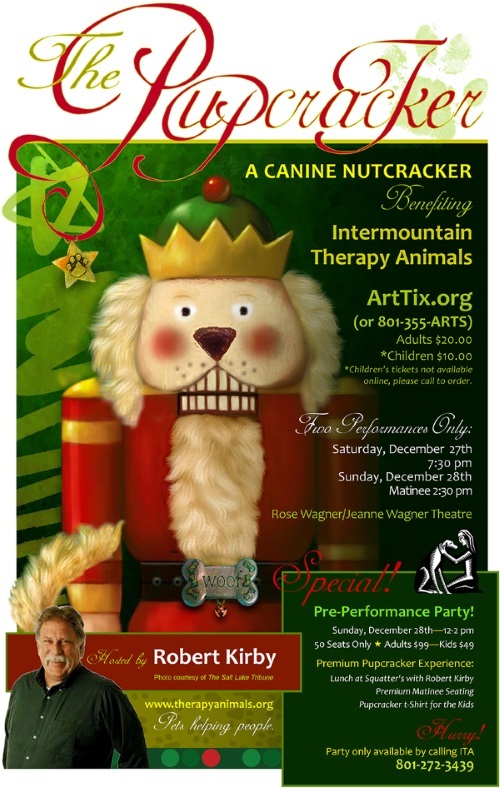 For the third year in a row, local non-profit Intermountain Therapy Animals, which provides animal-assisted therapy, will host Pupcracker to end the holiday season with a wooftastic good time. From little pup Clara to Mother Buffon with some dogs under her skirt, join volunteer therapy teams as they ring in the new year with this festive and always entertaining event. 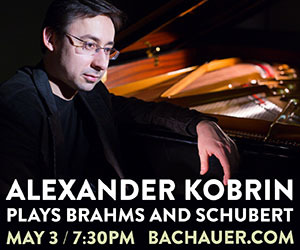 Run time is just one hour so the performance is perfect for children and adults of all ages. But get your tickets now because the past two year’s performances have sold out quickly. Pupcracker has now been moved to the large theatre at Rose Wagner and will seat 500 for the evening performance on Saturday, December 27 as well as a matinee performance on Sunday, December 28. A pre-performance party which includes lunch with Robert Kirby at Squatters will take place on Sunday, December 28. Cost of the party is $99 for adults and $49 for children and includes a ticket to the Sunday performance. These can only be purchased by calling ITA at 801-272-3439. 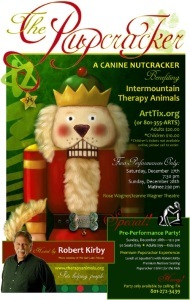 To purchase tickets for the Pupcracker performance only, tickets are $20 for adults and $10 for children and can be purchased through ArtTix. Wendi Melling: Imagine Fido’s joy when, instead of drooling as you enjoy your seasonal fare, he is presented with his own special baked holiday treat. 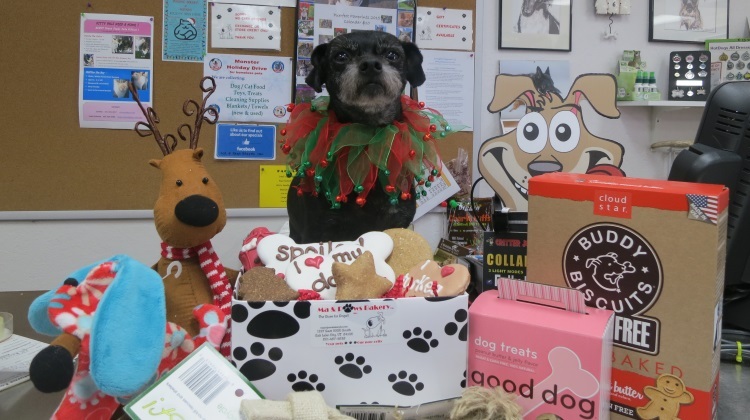 Ma and Paws Bakery (1227 East 3300 South) offers a wide selection of such treats for the best friends on your list. 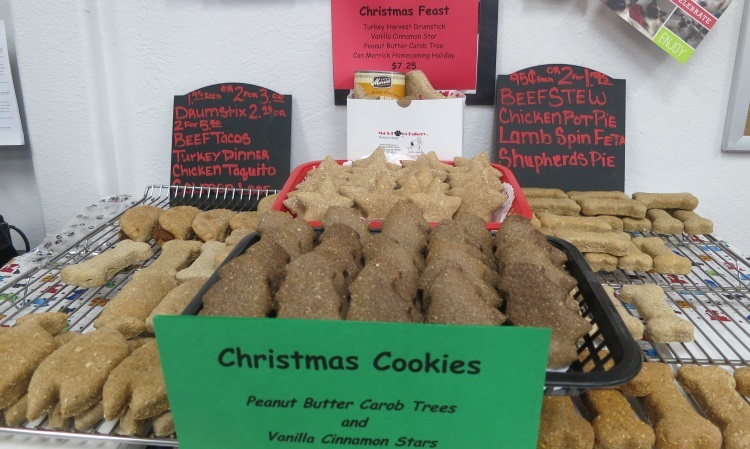 Along with their popular fresh baked goods, Ma and Paws features a selection of premium dog and cat foods and treats, nutritional supplements, toys and accessories. The knowledgeable and caring staff at Ma and Paws routinely go out of their way to suggest the perfect thing for the well-cared-for pet. Extra bonus: Mention “The Utah Review” when filling your pet’s holiday wish list at Ma and Paws, between now and December 24, and receive a free baked treat. 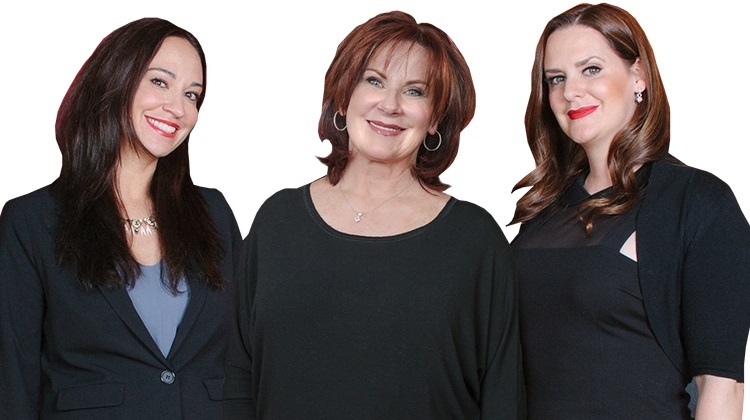 Hilary Reiter: Spa Vitoria, the medical spa owned by one of Utah’s best known and respected plastic surgeons, Dr. Renato Saltz, is offering specials for the holidays designed to make men and women look and feel their best for holiday parties and travel. The Fire and Ice special is a discount on CoolSculpting and Intense Pulsed Light (IPL) combined treatments. CoolSculpting is an FDA-cleared, non-invasive and non-surgical procedure that permanently freezes fat cells that resist diet and exercise efforts. IPL is a gentle, non-ablative treatment that uses broad-spectrum light to treat visible sun damage. Patients will enjoy dramatic results within a very short time and no downtime is involved with either procedure. One of the reasons for CoolSculpting’s success is that the procedure addresses fat reduction as opposed to weight loss. When people lose weight, fat cells become smaller, but the number of fat cells remains the same. CoolSculpting reduces the number of fat cells in the treated areas making patients slimmer and feeling their best. Spa Vitoria, with its locations in Holladay and Park City is offering a 15 percent discount on a combined CoolSculpting treatment (one cycle) and one IPL facial treatment, giving patients the opportunity to simultaneously improve their skin while slimming their bodies. Other specials being offered include a warm stone massage for $90, which promises to relieve stress from the holiday bustle and cold weather relief and Botox for just $10 per unit. Specials are available through December 31, 2014. Farasha (605 Main St., Park City) is a women’s boutique on Park City’s Main Street featuring fashion-forward, emerging designers from around the world. Collections include jewelry, clutches, winter accessories, dresses, skirts, pants, tops and unique outerwear. Boutique owner Vanessa Di Palma Wright is a world traveler who hand picks the store’s chic merchandise. Farasha ensures you will have unique holiday gifts for the fashionistas on your shopping list. During the holiday season, spend $300 and receive 20% off, spend $500 and receive 25% off and $750 for a 30% discount. There is also free parking on Main Street through December 18 with the display of a downloadable voucher from www.historicparkcityutah.com. Amanda Rock: I want to wake up on Christmas morning, stumble into the front room and see a kitten in my stocking. Just once. Santa has forsaken me these past 39 years, but maybe you can make someone’s Christmas a little brighter with a fluffy new friend. Best Friends Pet Adoption Center in Sugarhouse is offering a $25 adoption fee for cats and dogs over six months old for the month of December. If a new family member isn’t on the list this year, you can still help the fuzzy population by selecting an ornament off their tree. 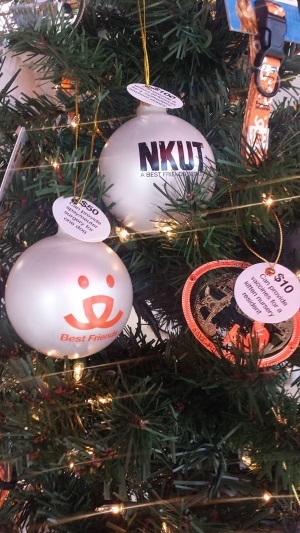 Needed donations are attached to the ornaments ranging from $10 – $500, any of which will make the season brighter. You also get to keep the ornament as a reminder of your good deeds. Best Friends Pet Adoption Center is located at 2005 South 1100 East and open 7 days a week. 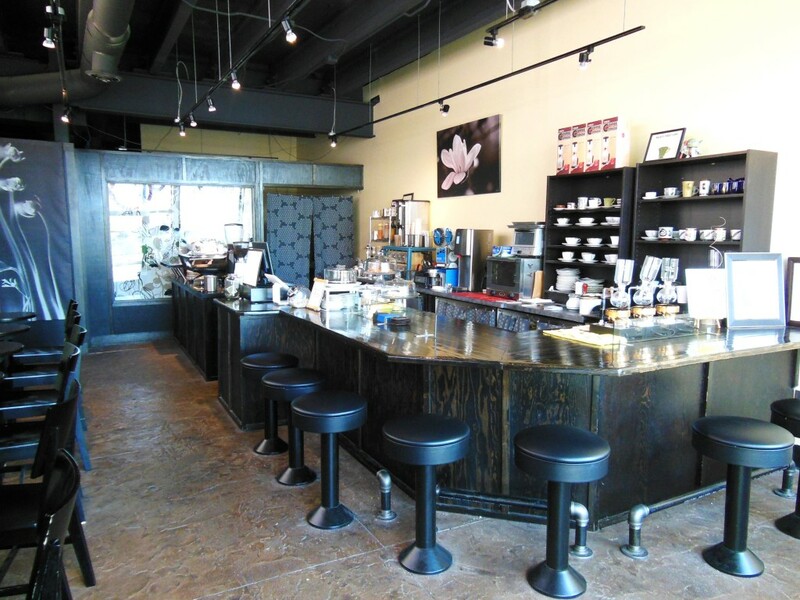 Les Roka: Just recently marking its 10th anniversary, Caffe d’bolla in downtown Salt Lake City has gained much state and national recognition as an internationally respected coffee destination spot with its emphasis on espresso, siphon brewing and coffee roasting on site. For the holidays, the store (http:// http://shop.caffedbolla.com/), owned and operated by John and Yiching Piquet, is offering a select single origin subscription package ($69.70), in which fresh roasted coffees, in 312-gram packages of whole beans, can be shipped every month. Customers can schedule deliveries either once or twice a month for three, six or twelve months. Coffees are shipped on the first Tuesday of the month. For customers opting for twice a month delivery, coffees will be shipped on the first and third Tuesdays of every month. Other items popular during the holidays are gift cards at individual amounts and equipment items such as a ceramic conical burr coffee mill ($34) and the Japanese-made Tokio Coffee Syphon TCA-3 ($55), which is the same brewer used daily in the store. Caffe d’bolla is the exclusive importer for this particular make and model. While the package comes with an alcohol burner, customers also can purchase separately the Akira BH-100 Halogen Beam Heater ($343.74), used in siphon competitions throughout Asia. 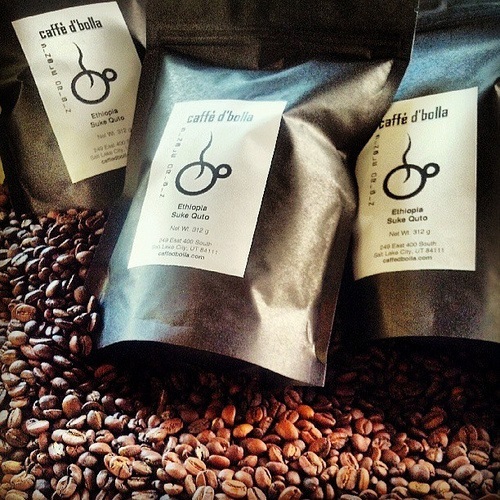 Again, Caffe d’bolla is the only authorized dealer for this item outside of Asia. Andrew Stone: Finding a favorite local holiday treat that I traditionally love to give and receive should be an easy task, but in reality there are far too many to choices and this leads to difficult decisions every single year. I do make it easier, though, by combining several small items into one larger gift. Frankly, this is my saving grace since it gives maximum exposure to many fine local purveyors that I love to call friends as well as suppliers. First and foremost I love to give cheese and two of my favorites are Beehive and Rockhill Creamery. Any proper gift requires one or both of these to be included. With the cheese must come bread and this is where I get crafty and bake my own. It’s easy, so why not? Making it with flour from Central Milling in Logan keeps it local and guarantees consistent results since they can certify gluten levels. Homemade butter, a jar of Amour Spreads and a link of Creminelli salami tops it all off. Want to add a little something sweet? I always do and that typically is a bit of Chocolot. Ruth Kendrick has mastered the art of sweet and delicious and to not share her work is like not hugging your grandmother when you see her. It’s wrong. So putting together a gift basket isn’t your thing? Then head yourself right over to Les Madeleines Patisserie and pick up a Pannetone or Kouing Aman. 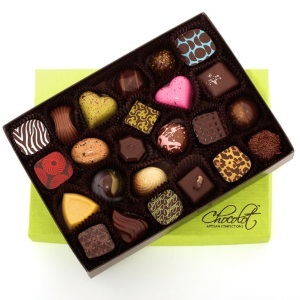 You won’t go wrong with those and the recipient of this bounty is certain to be happy with your selection. 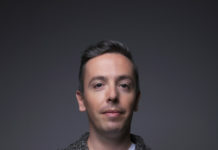 Stuart Melling: And finally my own choice; and at that, a gift that doesn’t need anything more than a quick phone call to arrange any day of the year. I’d treat that special person to a meal at Naked Fish Japanese Bistro. 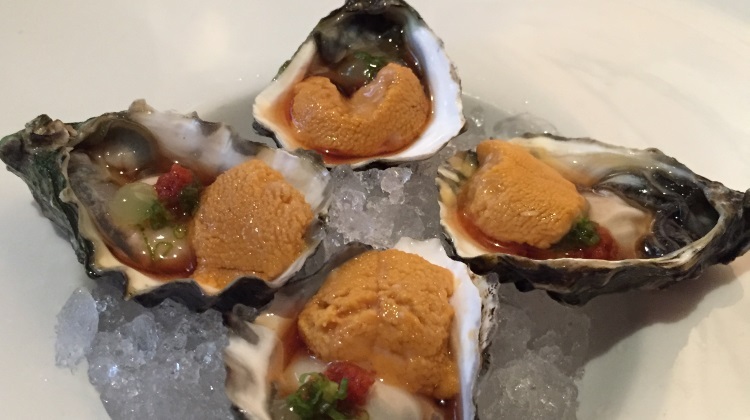 You can read my detailed review of Naked Fish here, but put more concisely, it’s been far and away my favorite restaurant during 2014. Hands down. Great line up of gifts. Here’s an idea for an unusual gift for friends: tickets to Repertory Dance Theatre’s performance fundraiser CHARETTE with MC Sister Dottie S. Dixon (aka actor Charles Lynn Frost). It’s the most unusual fundraiser performance around–a competition for THE IRON CHOREOGRAPHER. Great fun for groups (and group rates, to boot.) AND…it’s on Valentine’s Day this year (Feb. 14). http://www.rdtutah.org Give a gift for the holidays that will bring you all back together in February! Pirate O’s should be on here. Why isn’t Pirate O’s here. Everyone knows it’s the best place to holiday shop for foodies. I gave my parents a gift card to Naked Fish last year and when I asked what they wanted this year, they said a repeat of Naked Fish because it was the best gift they’ve ever gotten. (We did the omikase and it really was amazing.) Glad to know we’re on the same page, Stuart! Even better is the omakase is truly a one of a kind dinner. If you have it again in the future the dishes will be different again. The chefs shop just for your meal.